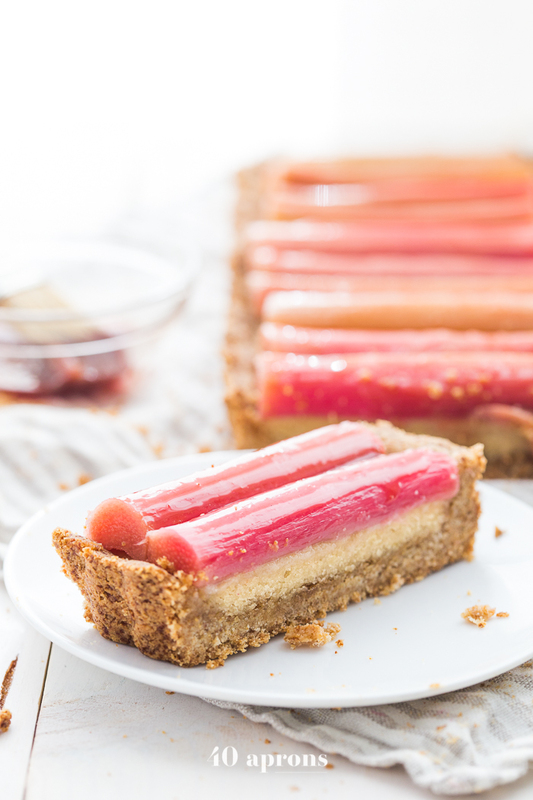 This Rhubarb Tart is layered with a buttery shortbread crust, rich almond frangiapane filling, and finished with a perfectly sweet, tart rhubarb topping. This dessert is absolutely delicious and perfect for summer entertaining. This paleo rhubarb tart is a must-try!